I was really excited to try new flavors of the Kind Nut & Spices bars. In the morning time I like to have something very light. So when I was able to try these kind bars I knew they would be great in the morning with my coffee and boy was I right. I was sent the Dark Chocolate Mocha Almond, Carmel Almond & Sea Salt and they are both amazing but carmel is my fav it was so amazing with my white macadamia nut coffee. I haven't found one kind bar I haven't disliked yet. 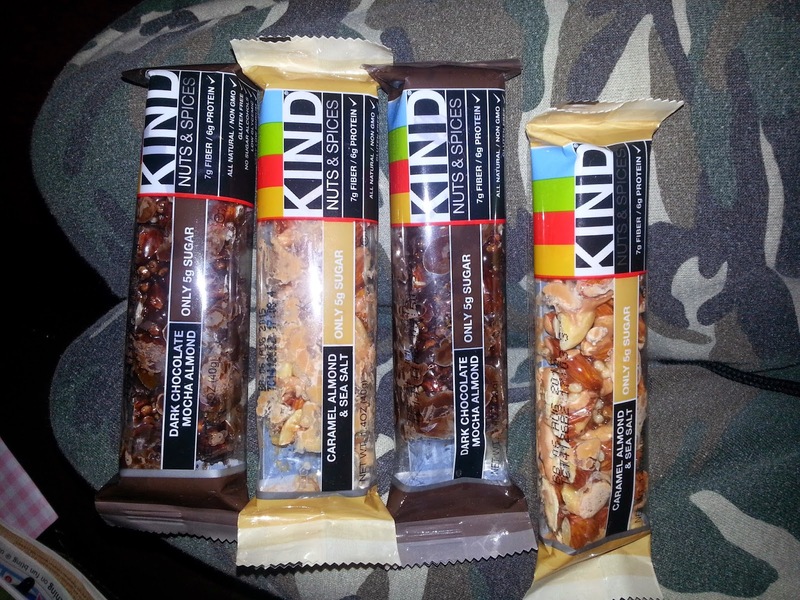 KIND has added Caramel Almond & Sea Salt and Dark Chocolate Mocha Almond to its KIND Nuts & Spices line of bars. These seemingly indulgent flavors expand the line to include eight flavors containing only 5g of sugar (or less) - and nothing artificial. KIND's newest flavors are further proof that you can naturally lower the sugar in a snack while still maintaining a sweet and indulgent taste. Each bar is also crafted from a foundation of whole almonds which recent studies have shown have life-extending properties. Caramel Almond & Sea Salt is made with a seemingly indulgent blend of savory sea-salt and sweet caramel drizzled over crunchy almonds. This bar is a delightfully low-sugar healthy snack that only tastes like dessert. Dark Chocolate Mocha Almond is made with dark roast coffee and whole almonds blended with honey and drizzled in dark chocolate to form a bar that, with just 5g of sugar, only tastes indulgent. Both flavors contain 7g fiber, 6g protein and 5g sugar.